‘Another day to live through… Is that all it has been since I inherited the world? The film is based on the American writer’s first novel, I Am Legend, for which he got a $3000 advance from Gold Medal Books. Published in 1954, its paranoid post-apocalyptic scenario struck a chord with a Middle America in the grips of McCarthyism. The first modern vampire novel and this first film version also proved a huge influence on George A Romero’s Night of the Living Dead. It was later filmed as The Omega Man with Charlton Heston in 1971 and as I Am Legend starring Will Smith in 2007. Following the success of The Quatermass Experiment (aka The Creeping Unknown) in 1955, Hammer Films paid Matheson $10,000 to adapt his novel for the British studio, with Val Guest lined up to direct. However, the British censor warned Hammer that owing to the excessive use of profanities and violence in the script, that the film would not pass the censor. Hammer decided to pass on the film but kept the title rights which they later used for their 1962 period adventure Captain Clegg. The original screenplay, meanwhile, has since been published along with two other unfilmed Matheson screenplays in Edge Books 2009 release, Visions Deferred. Lippert wanted to film Matheson’s script in 1959 under the title Naked Terror. But ended up securing a co-production deal with Produzioni La Regina in Rome for parent company 20th Century Fox who retitled it The Last Man on Earth. Like Hammer, Lippert ended up using his title for a 1961 documentary about Zulu tribal practices, narrated by… Vincent Price. Matheson, however, was upset by the rewrites and ended up taking his name off the credits and using a psedonym, Swanson. 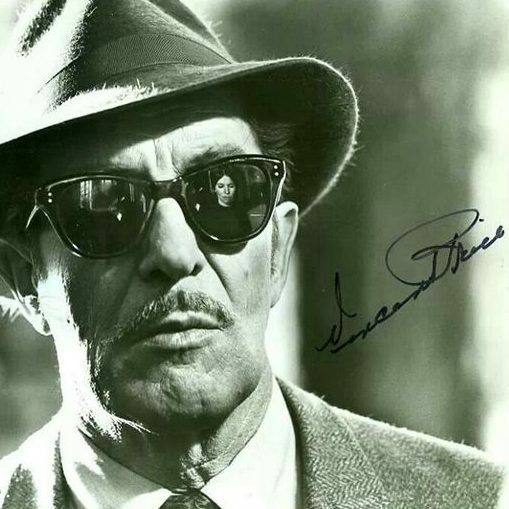 At the end of his first contract with AIP (which had preventing him from undertaking any other horror roles), Price scored a three-picture back-to-back deal in Italy. So, while filming the swashbuckling pirate adventure Rage of the Buccaneers and the sword and sandals intrigue Queen of the Nile, he and wife Mary got a long stay in one of their favourite cities ‘digging around’ the ruins and art troves. According to Lucy Chase Williams in The Complete Films of Vincent Price, the film was shot in January 1963. As the soiled suited 50-year-old scientist Robert Morgan, Price might be light years away from the Matheson’s 30-something everyman factory worker hero (Robert Neville) in the novel, but he lends his shabby sophisticate a subtle sense of restrained dignity that emphasizes Morgan’s displacement in the film’s zombie vampire infested wasteland. 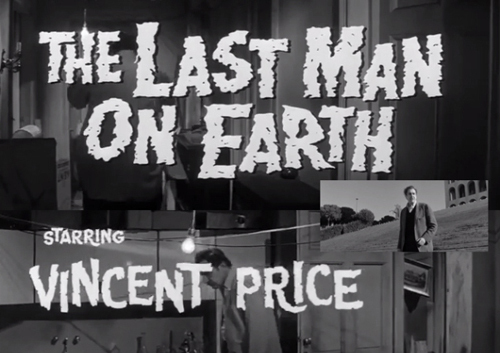 The film’s eerie post-apocalyptic look was achieved by the film’s cinematographer Franco Delli Colli shooting in the early hours and Vincent Price hated it. ‘I never was so cold in my life as I was in that picture. I had a driver, and I used to tip him a big sum to keep the car running so I could change my clothes in the backseat’, recalled the actor at the 1990 Fangoria Weekend of Horrors. The film is supposed to be set in Los Angeles, but the landscape is unmistakably the outskirts of Rome. That’s because it was shot entirely on location and at the Titanus Studios. The 100-year-old family run studio established by Gustavo Lombardo is as much a part of world cinema history as the famed Cinecittà, and has been home to peplum and classics like Visconti’s The Leopard. Today, it serves as a television production facility. An icon of Fascist architecture, the Square Colosseum, as its known, was constructed in 1935 by Mussolini for his planned 1942 world exhibition, and was intended as a large scale image of how urban Italy might have looked had his fascist regime not fallen. 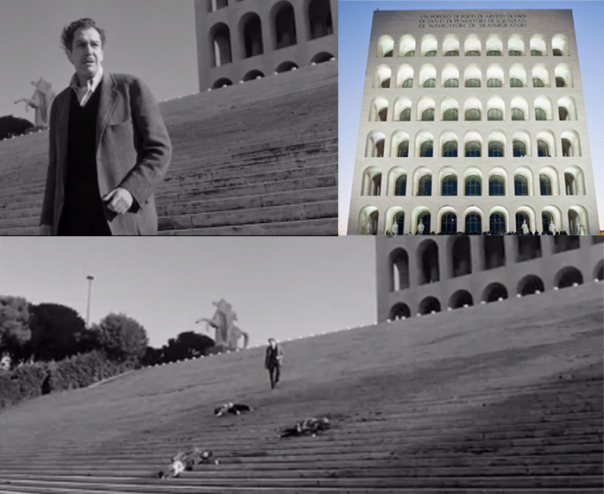 The iconic building can also be seen in films like Federico Fellini’s Boccaccio 70 episode, Peter Greenaway’s Belly of an Architect, and the 2005 sci-fi Equilibrium. Since 2015, it has become the new HQ for the fashion label Fendi. 9) The Paul Sawtell soundtrack is pretty cool, too! The film is highly praised for its moody soundtrack, which is quite collectable now, and is by Paul Sawtell, who did heaps of 1950s sci-fi movies, including the two Fly movies starring Vincent Price, as well as the theme tune to TV’s Voyage to the Bottom of the Sea, which Vinnie once guest starred..
10) It’s in the public domain… and readily available in a variety of prints on YouTube (like the one I’ve posted here). So, what are you waiting for… go check it out again?